We've seen some digitally painted concept images from Pixar's alt-prehistory film The Good Dinosaur, but this teaser poster shows our dinosaur and his human companion rendered as 3D figures. The Good Dinosaur has been pushed back to November 2015, following the removal of Bob Peterson as the movie's director. We're definitely getting a cartoony look on the characters, and even the foliage looks more like something out of a Pixar art book than the lush backgrounds of Brave—although obviously this is just a promo image, not an image from the film itself. 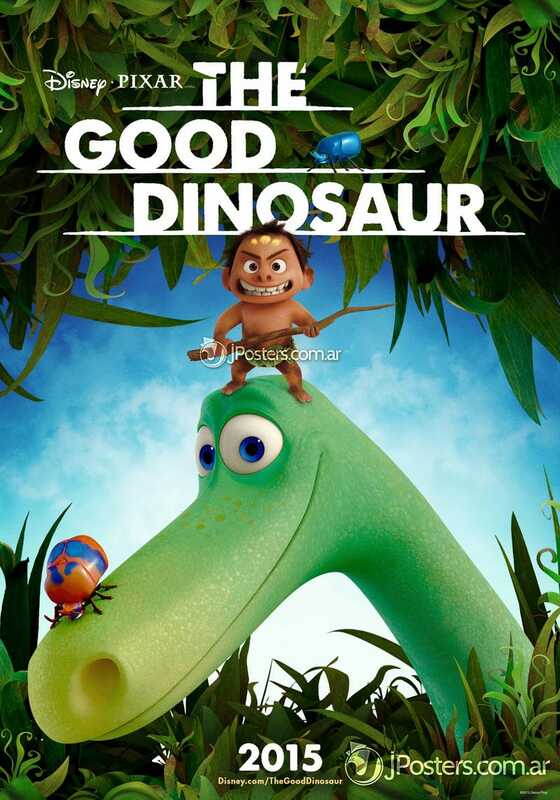 It will be interesting to see what the world of The Good Dinosaur ultimately looks like.